Orchid Hotel Dubai - Dubai Hotel Located in Dubai City Centre, Dubai Shopping Area and Dubai Business District! 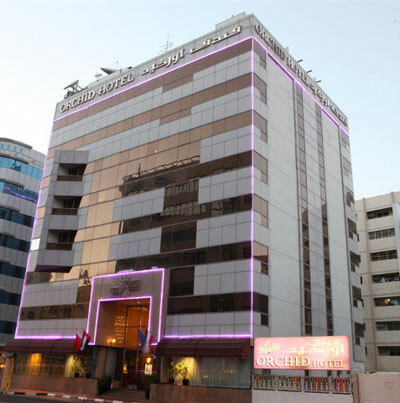 Located in the heart of Deira, the Orchid Hotel is conveniently placed on the fashionable Al Rigga Street and is in close proximity to Dubai Creek and many of the city’s top attractions. The hotel features 84 comfortable guest rooms, each of which is neatly decorated and features en-suite facilities. Guests of the Orchid Hotel can enjoy a range of cuisine in the hotel’s international restaurant, which specialises in continental dishes and local seafood. The hotel also boasts a number of nightclubs and a lively bar scene. Recreational facilities at the hotel include a temperature-controlled rooftop swimming pool as well as a Jacuzzi, sauna and steam room. Beach lovers can take advantage of the hotel’s complimentary shuttle service that runs to one of Dubai’s beautiful public beaches. The Orchid Hotel is well-positioned for exploring the bustling Deira district of the city. There are numerous shopping malls within easy reach, as well as the famous gold souk.